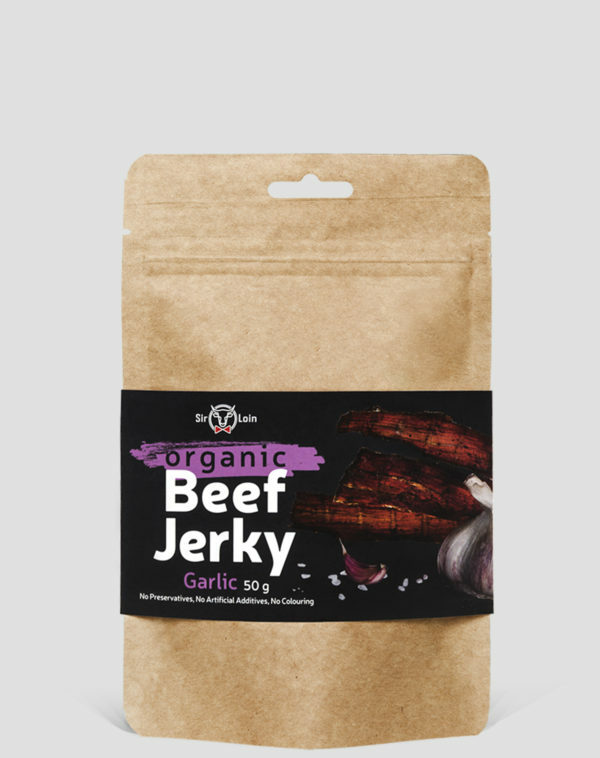 The beef jerky with garlic holds the timeless mystery surrounding this incredible plant. To give true garlic lovers a real thrill, this jerky has plenty of savoury garlic flavour. 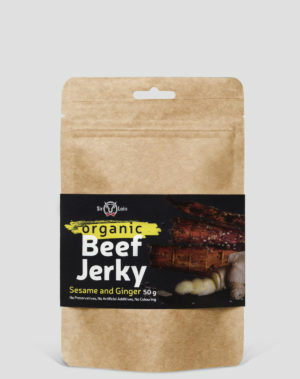 Ingredients: organic beef* (made with 283g beef per 100g), soy sauce* (water, soybeans*, salt), garlic* (6%), salt, ginger*, honey*, coriander*, black pepper*. 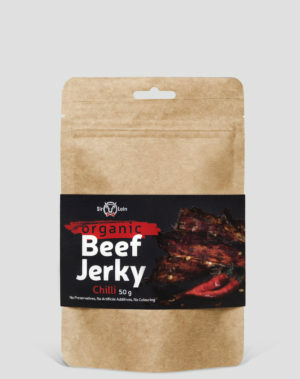 Average values for 100 g of product: energy 1076 kJ/254 kcal, fat 3.5 g, of which saturates 1.5 g, carbohydrates 0.7 g, of which sugar 0.7 g, protein 55 g, salt 2.1 g.